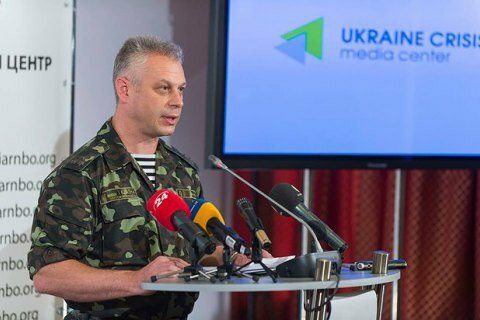 Two soldiers were killed in action and 6 more wounded over the past 24 hours, the presidential administration spokes officer for ATO col. Andriy Lysenko told a briefing on 6 July. Russia-backed separatists continued shelling Avdiyivka in Donetsk region. According to Ukraine's Intelligence Service, the terrorists 57 times breached ceasefire regime during the night, aiming their mortars mainly at Avdiyivka industrial zone. In the direction of Mariupol, army positions ourside Shyrokyne and Lebedivka came under attack. The Russia-backed separatists fired self-propelled guns of 152mm calibre, banned under Minsk agreement.